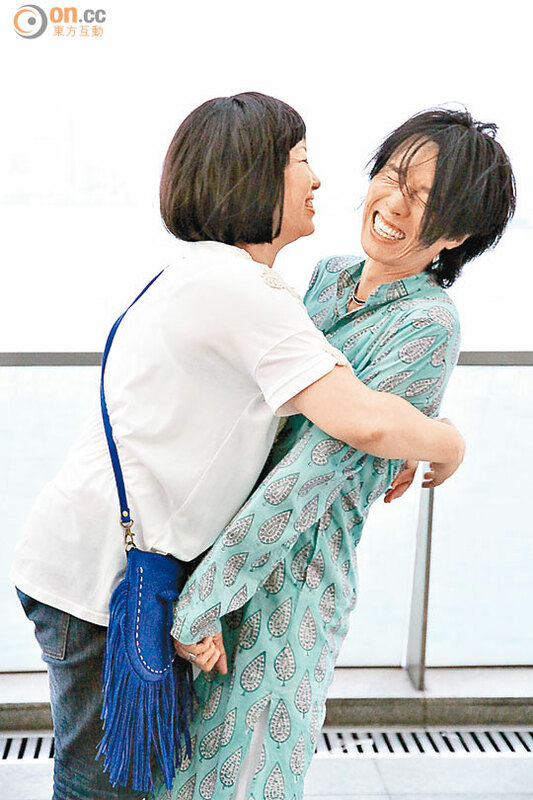 Stand-up comedian Dayo Wong and stage actress Harriet Yeung ("Ha Tou" = Shrimp Head) were shooting a force kiss scene for TVB new series My Prime Lady. Dayo stole her first on-screen kiss! Mr. Dayo even took initiative and gave Shrimp Head chewing gum to get rid of her bad breath. When the two were rehearing the scene face-to-face, they couldn't stop laughing and resulted in over 10 times of force kissing before the director accepted it. When asked how it feels to kiss Fish Head? Dayo sweet talked: "Great kisser! But because I was the one getting force kissed, I only felt lips moving in circles nonstop." Shrimp Head joked and said she almost wanted to stick her tongue in, but she has known Dayo for such a long time and she's his super fan, so it felt weird! Producer Man Wai Hung expressed to build the comedy in the series, he deliberately made Shrimp Head play Dayo's ex-girlfriend: "I hope to bring a refreshing feeling to the audience. Shrimp Head is going to be fighting with Kate Tsui for Dayo, it will be surprising!"